Wow. Well, after two months of recovery from a brutal A.T.V. accident, LeRoi Moore, local jazz legend and saxophonist for Dave Matthews Band, has died. Rest in peace, brother. This entry was posted on August 20, 2008 at 2:06 pm and is filed under cripsyduck, music with tags Add new tag, Dave Matthews Band, Leroi Moore. You can follow any responses to this entry through the RSS 2.0 feed. You can leave a response, or trackback from your own site. 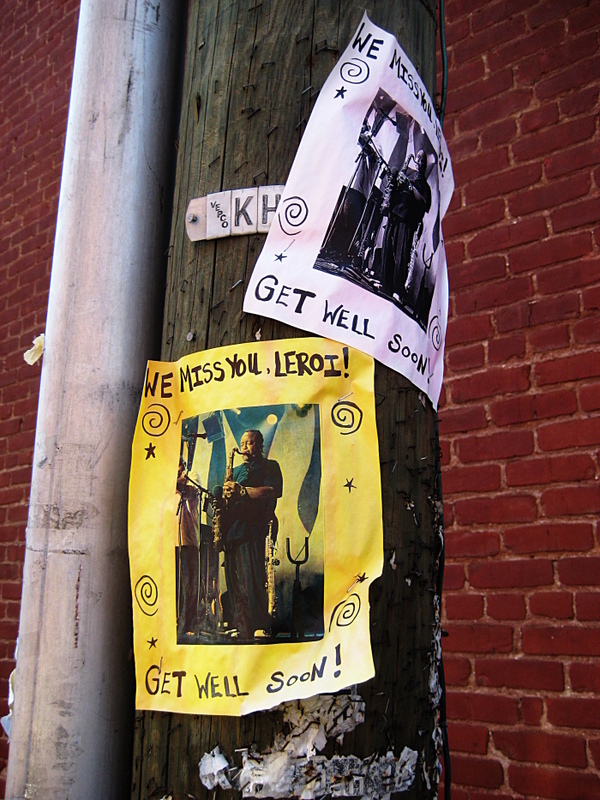 WOW, heard it here first, quite a character that LeRoi, lost another great too soon…. I also heard it here first. A remarkable musician, LeRoi. He will be missed. Something about it seems so surreal. Its hard to put into words the friendship he shared with the wife and I. I hope he found the peace he was searchin’ for. Very sad day here in dogtown. I don’t know if you saw the video from the bands’ show on Tuesday …it made me cry. He lived his life exactly the way he wanted …til the bitter end. The sax is just not going to sound the same to these ears. Man, it just gets wierder. After weeks of bright, clear days, it turned grey yesterday during the Moore family visitation, and today, the day of the funeral, it’s raining. For the first time in weeks. The gods are unhappy. Here’s a piece I wrote about the band for C-Ville in 2001. We really needed the rain, I’d say that’s a fitting gift, not unhappy gods. mournful, gray, and wet, but at the same time, nourishment for the living. Hope there was a jam.